America has some of the best universities in the world. Internationally respected institutions like MIT, Harvard and Stanford attract countless young people from every corner of the globe. Unlike American students, those from abroad often struggle to access financial services. While they’ll probably manage to open a bank account, they’ll likely struggle to get a credit card. 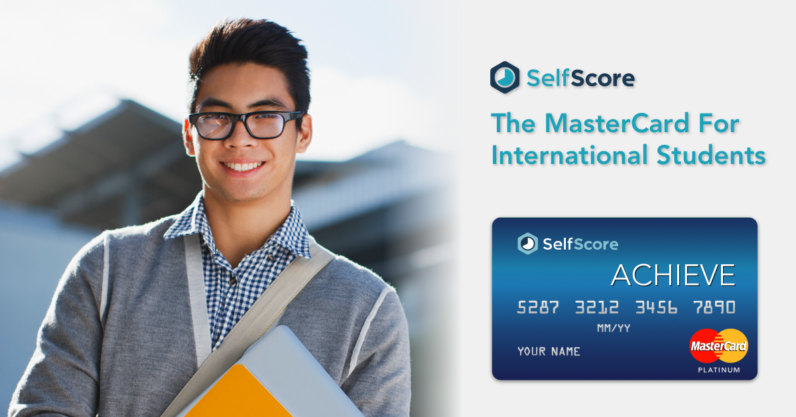 SelfScore is an innovative fintech startup with an goal to change that. Where the traditional incumbents fail, it uses machine learning to determine the creditworthiness of these new (and temporary) arrivals, in order to offer them a credit card they can afford. There are over a million international students enrolled in American universities. Most are pretty well off considering they can afford the exorbitant fees American universities charge. But despite that, they fail the basic tests used by traditional lenders to offer credit. Most don’t even have a social security number. People who are new to credit lack a credit history and are invisible to the traditional banking system. The bureaus call them no-file or thin-file. So we’ve developed proprietary technology that measures an individual’s credit potential versus their credit history. Our Analytics Based Credit Decisioning (ABCD) system takes into account Eligibility, Identity, Stability of Identity and Ability to Pay for approval. In absence of traditional metrics such as SSN and Credit Scores, we verify self reported information in application through various backend APIs and score it on a same scale as FICO and over time we have found 92% correlation to FICO. The ABCD system is pretty unusual. Its first priority is establishing the applicant’s status as an international student. Then aims to validate their identity and their stability. Kalpesh explained that the latter equates to having multiple ways of contacting the applicant. Only once those hurdles have been crossed does SelfScore look at affordability, in order to determine if the user is eligible for credit, and what their limit should be. If the applicant is successful, they’ll get a reasonable (but not amazing) credit card. At 19.49 percent, the APR is pretty steep, but it’s what you’d expect given who it’s being marketed at. It also comes with a handful of perks, like travel assistance, and a zero-percent introductory APR. Kalpesh added that the data collected from the relationship between the student and SelfScore could potentially allow them access to credit from a traditional lender, which might be under slightly better terms. By providing international students access to credit, which they otherwise wouldn’t qualify for, we are helping them build their FICO score. We report each user’s payment history to the bureaus, even before they get a social security number. Then, when they get a social security number, this history is appended to their personal credit file and they receive their first FICO score. SelfScore launched earlier today. Even before its launch, the company attracted significant amounts of funding from veteran VC firm Accel Partners. Ultimately, it demonstrates that it’s possible to offer credit to this virtually untapped market. Whether traditional lenders follow SelfScore’s lead remains to be seen.